Nestled in the foot hills of the Texas Hill Country just West of San Antonio you acirc; ll find Weston Oaks. This is a truly one of a kind community with majestic oaks and soft rolling hills. Weston Oaks allows for the best of country living with suburban convenience. Located off Potranco road just outside Loop 1604, Weston Oaks offers an impressive collection of plans with flexible interior designs and distinctive exterior elevations. Weston Oaks provides full upscale outdoor amenities that include swimming pools, a club house, outdoor pavilion areas and a community park. Conveniently located within the community and a safe walking distance from any home is Edmund Lieck Elementary School. 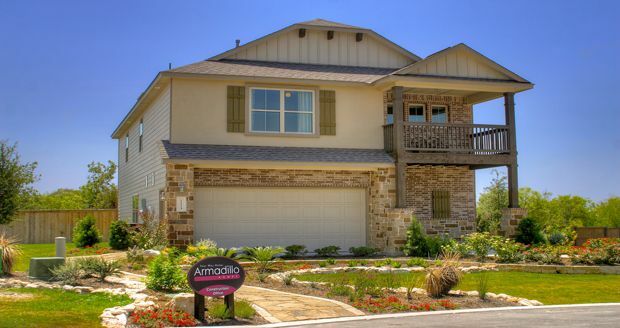 Armadillo Homes welcomes you to the convenience and beauty of Weston Oaks.